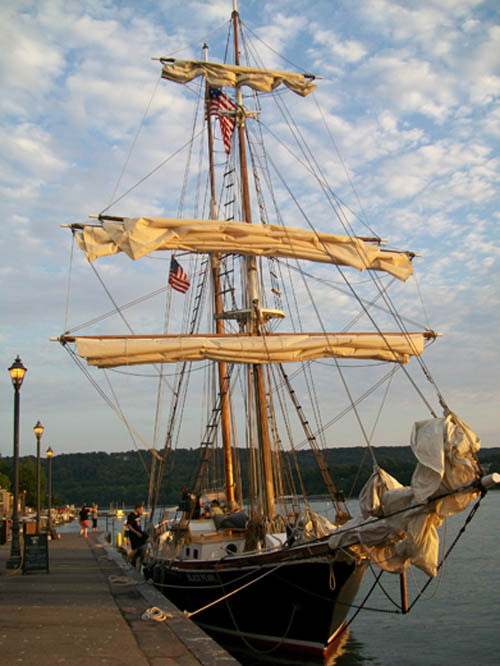 The tall ship docked at its new home in the Village of Lewiston over the weekend, and will begin sailing guests around the river this week. 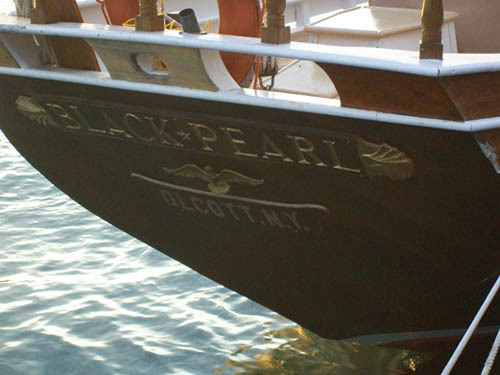 The "Black Pearl" docked Saturday - just below The Silo Restaurant on Water Street - and now calls Lewiston home. It will stay in the village until the end of the season. As part of an agreement with the Historical Association of Lewiston, a portion of the revenues will go to the Lewiston Museum. 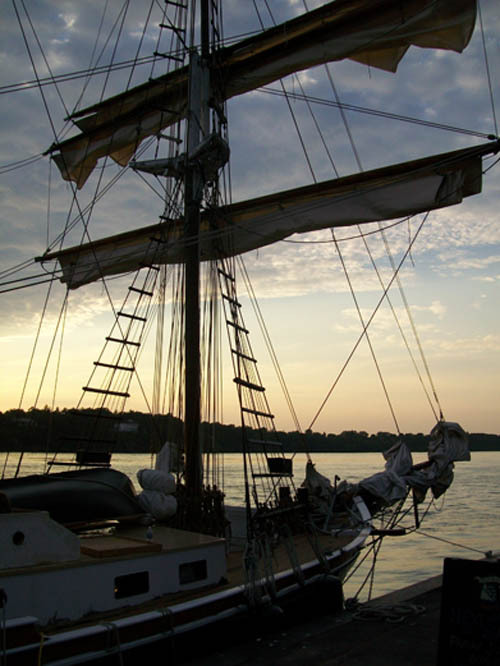 Three-hour "sunset sails" take place on Friday and Saturday at 6 p.m., and on Sunday at 3 p.m. 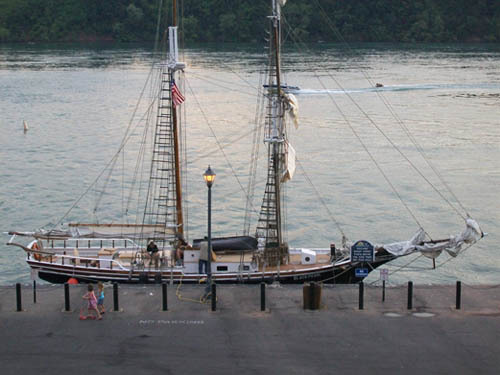 One-hour cruises take place on Tuesday at 6 p.m. (just before "Tuesday in the Park" at Artpark); Saturdays at noon, 1:30 and 3 p.m.; and Sundays at noon and 1:30 p.m. At present, the "Black Pearl" can take six passengers per cruise. 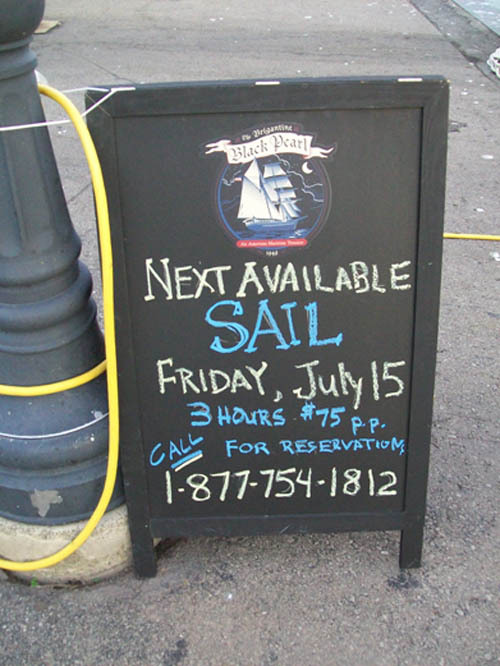 For more information, or to make a reservation, call 877-754-1812 or visit http://historiclewiston.org/blackpearl/index.html.